Lower sales is the first and most prominent warning sign of a failing or declining business. It is common knowledge that a business operates on the basis of sales. When your business cannot generate a steady and sound cash flow, your business cannot remain solvent and thus, it cannot sustain itself for very long into the future. If you are spending more than you are earning, your business is no longer solvent. If you cannot generate enough profits to successfully pay off all your liabilities and expenses on time, there is definitely something wrong. If this is happening in your business, you really should work to resolve problems affecting your profit and losses. If your old customers no longer return, and you haven’t had many new customers for over a month, this indicates that there is no longer a consistent demand for your product or service. Unless you make some significant innovations and rapid adjustments to your sales efforts, you will not be able to save your business from failing. If the positive referrals, reviews or even word of mouth advertising of your business has so declined that your customers no longer discuss your product or service, then this also means that nobody is thinking about you. When nobody talks about your business, it is the same as if your business does not exist. It is important that you review and determine what has gone wrong and how best to apply a solution. Your employees certainly should feel confident in your products and services and the stability of the company. When your employees are not representing your products and services in the best light, customers will eventually notice this. If your employees are unmotivated and discouraged by your business activity, there is a likelihood that they will abandon the business along with your past customers. Always make sure that your employees are enthused about their work and the future of the company. If people have begun openly telling you about your failing business, then there is little doubt that your business has hit a very low point. To revive the business will require an extreme amount of innovative effort and determination. Growing and managing any business can be difficult even under the best of circumstances. There will always be many external factors affecting the health and well-being of your business. And unfortunately, these factors are mostly outside of your control. However, because you know and understand your business needs and its goals better than anybody else , why not use the collaborative power of our “Instant Entrepreneur” program to identify and attract a steady supply of the types of business opportunities that will always accelerate and intensify your money-making success? Wow, a very informative article!! It just shows that you need to stop what you are doing and make sure your business is going in the right direction. I never knew that it is important for you to force yourself to be extremely realistic when examining and analyzing your business situation. That line really made me to reevaluate my knowledge of business. The really important point here is to remain vigilant in your business affairs. As that is the only practical way to remain aware of what is happening with your business efforts. Very good tips and suggestions about this. A lot of things can prevent your business from being successful. This article hit the nail on the head. Not all businesses are the same and not everyone will be successful. You are correct in what you are indicating. It is just necessary to pay close attention to your business as much as possible. These are some scary thoughts for young entrepreneurs, but it’s always good to know the warning signs and what to look out for, so that hopefully you can save your business before it’s too far down the hole. Any tips for that? Well, actually we have some thoughts on that. Our strategy has built-in safeguards to help you in that area. Attend some of our webinars. We will be happy to describe some techniques that should help you. Taking the leap into starting your own business can be intimidating. I know it was a severe challenge for me anyway. It’s good to have some solid information being put out there for others to have and rely on. We certainly hope that others will take advantage of this information. Managing a business can be tough, so every advantage available should be used. Absolutely correct. Once you realize that certain problems exist, the next step is to resolve them. Great article. I’m looking to open my own business in the future and this was pretty helpful to me. I’m hoping to find success! In most instances, it is much easier to control and manage your business “before” it becomes very active. At that early stage, you can check and verify that all of your critical tasks are being addressed. The trick is to maintain that control as your business becomes more active. If you are able to do so, you will have an excellent chance for your business to survive and prosper regardless of changing economy conditions. Failure is very common in the business world. Once you notice one of these signs listed above, you have to make a plan on how to get around it. Exactly. And the sooner you are able to recognize a potential problem, the more time you will have to find a solution. We certainly wish you well with your efforts. As we consider various business ventures, we would suggest that part of the decision is to choose businesses that allow you to have as much control as possible. Of course, that is what one would always like to have in an ideal world. In reality, there are always factors that you cannot control, but we feel it is still much better to control the bulk of the factors that will affect your business. Leave as little to chance as possible. The type of business that you choose should match your personality and the amount of the business uncertainty that is involved should not overly stress you. We wish you good luck. I really liked your post. It is very useful to read about the ups and downs facing businesses. This article is very helpful I have a friend of mine who’s business is not doing so well. I will email him this article and see if it helps him out. Thank you for sharing our article with your friend. We hope that the article helps him. As a business consultant I would agree that this is one of the hardest things for business owners to recognize and for them to accept. Having great articles like this out there will really help business owners turn things around with failing businesses before it is too late. Let’s support each other!! Great suggestion, Jessica. Count us in on that campaign. Some very valid and enlightening points. I can see today’s business practice sink or swim based on online reviews. Maintaining a good customer base and trust is definitely a must. I can also relate to the morale point. Good morale is necessary for a business to function and be efficient. I’ve worked in businesses that started off with excellent morale, but as leadership changed and policies changed, the quality in the product of the business started to diminish. Thanks, Vic. Your comments are very well received here. Our director has stressed to the staff exactly what you have said. The relationships with customers can and should extend for years, even beyond the usage of a single product. After all, a valuable personal relationship should have been developed. In difficult times, this article gives us a means to identify our business’ weak points and shore them up with opportunity. Good advice for us all. Yes, we definitely believe that it helps to have knowledge. But, one should take action also. I found this article very useful to me in terms of planning, organizing and managing my business. This information will help me to reach success in the future. I will enjoy more posts like this one. Cheers! Thank you. We are glad that you found the article helpful. Great read! I would highly recommend this article for anyone who is in business. They really should take a close look at it. There are some very important warning signs that your business might fail soon. At least, by following this article, you have a chance to possibly improve your business or if you can’t improve it, be able to get out of it quickly and start something else! It is really a matter of timing when the business begins to fail. The earlier you can realize that there is a problem, the more time you have to correct it. This is super informative. I was a bit worried about my business, and this confirmed my suspicions. Now that I have read your information, I know what I need to do now. Thank you for writing this article. I surely did need it. We are glad that you found the article helpful. Thank you for that. If your business is failing, it should be about time that you realize how bad of a state you are in, then it is about time for you to start making changes, and see what others think. Of course that is the reason for the article – that is to provide information to help entrepreneurs and small business owners how to anticipate potential problems. I think that the one thing most failing business have in common is that they are inflexible. Their customers are asking for change or more/less of something and you want to do things your way. But your business isn’t for you. It’s for your customers and you have to cater to them if you want them to stay. That really should be a very easy fact that you have stated, but as you have indicated – many business owners do not get it or they refuse to accept the obvious. Their customers will always “point the way”, but when owners don’t listen, their customer will just “go away”. I think every business owner dealing with these signs of business failing should transfer himself into a role of client or consumer and try to imagine how his business looks from outside. Then, he should do the same but now thinking of similar successful businesses from local or wider area and realizing what would attract him as a client to those businesses instead to his own. This could give him some important clues about what needs to be changed. That is an extremely insightful approach to use in this instance. Taking time to experience different viewpoints about your business has to be an “eye opening” opportunity to make improvements toward success. I believe that anyone who has the confidence and determination to take the initial leap of running a business, can handle the stress and disappointment that comes along with it. This post really helps those people (including myself) have a new outlook on their business and prepare them for the innovation they have to bring to the table in order to keep it running. Thank you. We can see that viewpoint. Most important is to be able to not fail by being observant and to take the necessary action in time to avoid the failure. Thanks for your insight. There are instant actions you can take for two of the signs that your business is failing. If you are getting negative reviews, then be sure to read the review, respond to the reviewer with a possible solution. If you are losing customers, follow up with a phone call or in-person visit to find out why they left. At the very least you can identify problem areas and prevent repeating the same business practices that lost your customers. True and wise advice. One can learn from mistakes made. Certainly there is no value in repeating past mistakes if they can now be avoided. Thank you for this advice! I think it can be difficult to admit to failure, but that is what is needed to make a fresh start. I think it is also important to know when to keep going and when to stop. We have learned that your decision becomes a little bit easier if you had set rather firm goals to be achieved at certain time points. When it is obvious that you have not met these goals and if you do not see a resolution close at hand, your decision should be easier to make. Take inventory of your personal skills and strengths, and look for ways to incorporate those strengths into your plan. Get rid of the negativity about yourself and replace those negative thoughts with positive self-esteem. Thank you very much. That is sound advice to be sure. This will come in handy maybe one day because I am in business school, hoping to get my bachelors in business. My brother-in-law has his own business and I intend to follow his footsteps. I’ll tell him to give this a read. With your college focus on business, you will become extremely aware of this evaluating businesses. Good luck to you. 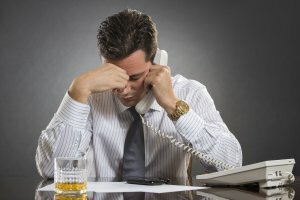 This article is extremely helpful in understanding the signs of a business starting to fail. I can now understand when customers stop coming back, I need to change something in my business structure. I can revamp products and services to assure my customers still consider them to be relevant and useful. Well this is really the point of the article. Every business is unique onto itself. And certainly each business owner has his/her view of what they want their business to achieve and in what manner. Our hope is that this article provides a bit of assistance for entrepreneurs to “look ahead” and be able to make adjustments when needed. Thank you for providing us with your comments. They are appreciated greatly. This article comes in handy as I am studying business management in college. I agree with the fact that you will have a high turn over rate if your business is failing. I wouldn’t want to work for someone and feel constantly unmotivated. I will pass this article along to a few of my classmates. Thank you, Megan. Employees are often able to see “the hand writing on the wall” even before some business owners. We wish you much success in your college studies. You are displaying great insight already which will prove to be an invaluable asset to have throughout your business career. These are some useful tips that I have just learned. I will certainly begin following your guidelines. We appreciate your comments. Best of luck in your business efforts.